They say there’s something in the water around here, but I’m pretty sure this is just my current phase of life! Baby bumps are all around me and, seeing as how I am primarily a “gift knitter”, every new baby announcement rings alarm bells in the “OMG YARN” section of my brain (undoubtedly my favorite section). 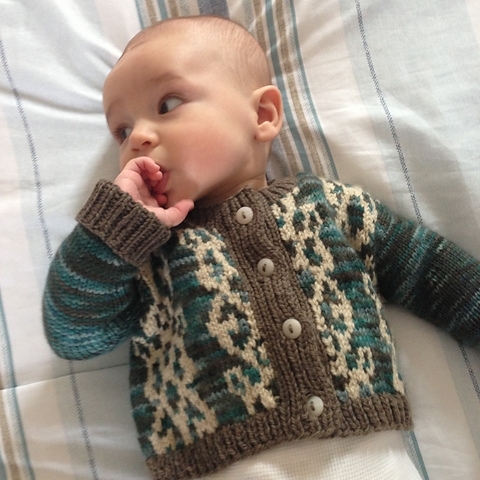 One of the best parts of being a knitter, or generally crafty, is that everything you make is personal and custom, and baby gifts for your closest friends and family can be a blast to conceive (ha) and create based on the interests of the parents! I ended up settling on the Harry Potter book series as my inspiration for baby Darcy a few years back. Her parents had done an amazing job setting up her nursery to look like Hogwarts, so it was a bit of a no-brainer. 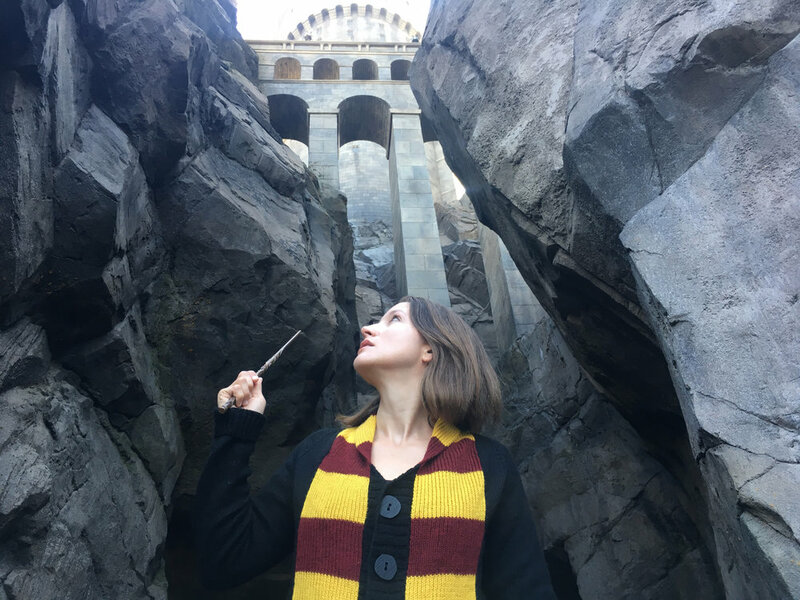 And there is certainly no shortage of Harry Potter scarves and scarf-inspired items out there. 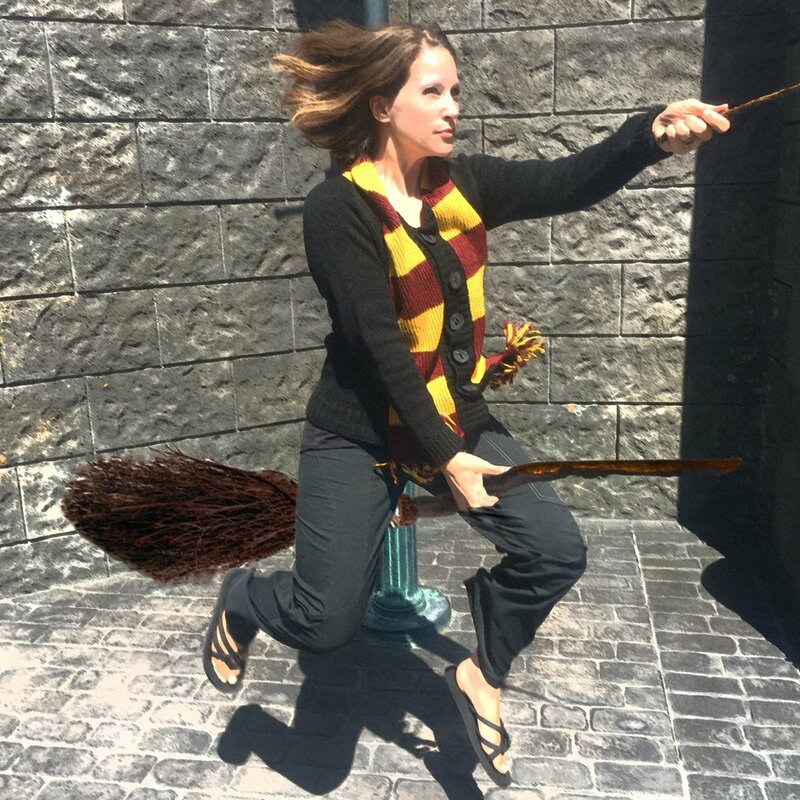 The wizarding world of knitwear is a vast expanse of high-contrast stripes and garter stitch. If it is possible to yarn-bomb a class of objects (or living things), I can guarantee somebody has already done so with Hogwarts house colors. The first few questions in my thought process were easy to answer in this case. The last one was not. 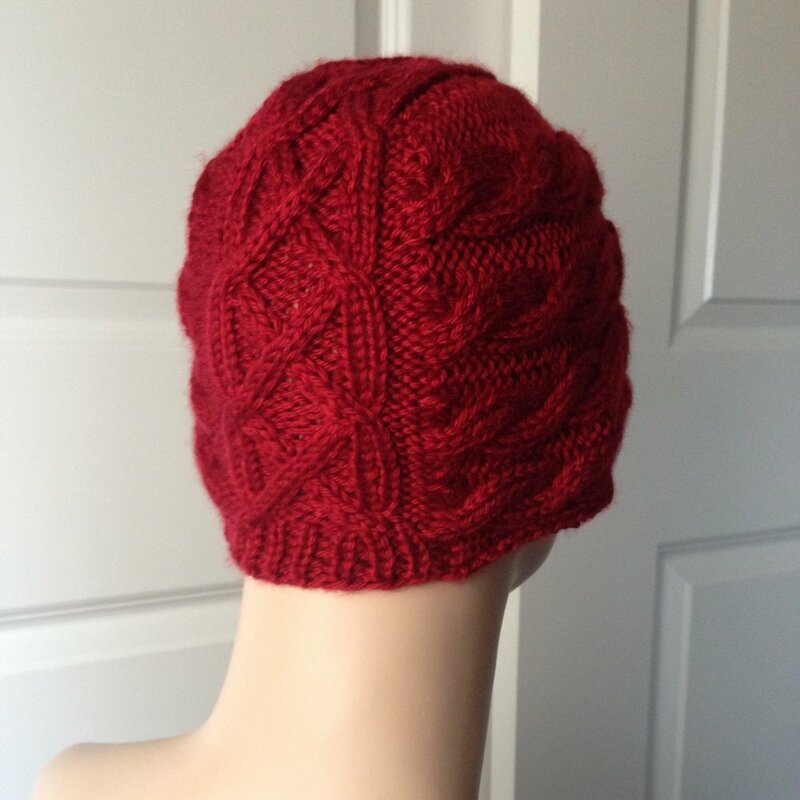 “Is the thing you want to knit easily found elsewhere?” Well…yes. I wanted to make a scarf but those have been done. The problem seems to be, “how can I get this baby to actually wear the thing without ripping it off and stuffing it in the nearest baby-hand-sized crevice?” I considered sleep sacks and car seat covers that look like wizards’ robes and all kinds of other options, but ended up on something simple and, to my surprise, not already done. The built-in scarf cardigan. The Scarfigan. The first version of Scarfigan was released for just the littlest wizards among us and also, as it turned out, the littlest Time Lords from the BBC series “Doctor Who”. 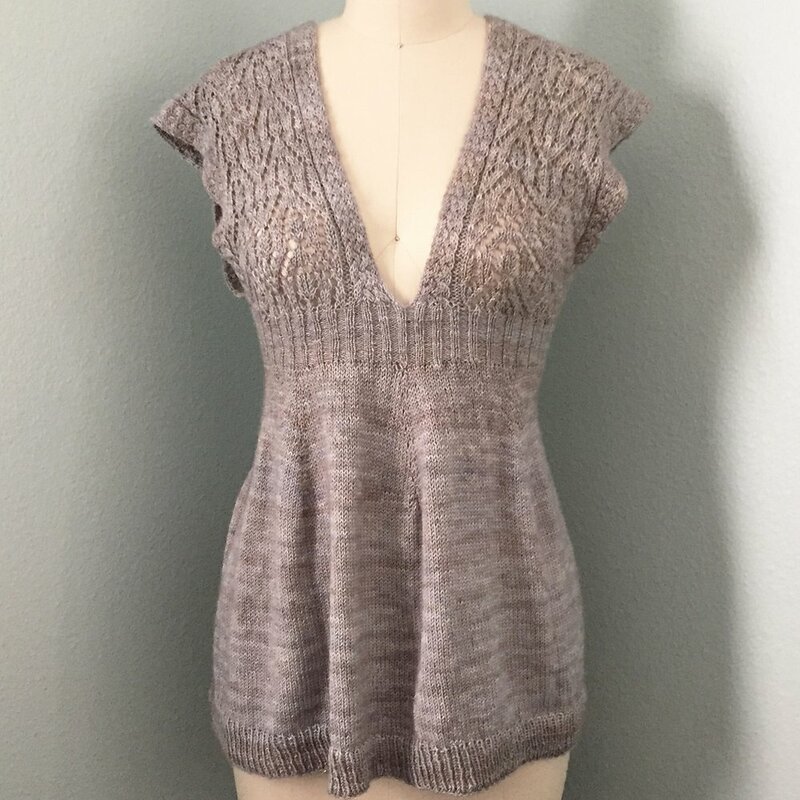 After many requests for larger sizes, I was able to release an updated version for sizes 3-months to 56” chest, with modifications that strengthen the shoulder and allow you to knit the scarf separately, avoiding all the tangled yarn balls of what was previously a knit-in-one-piece project. The new version, in fact, lets you choose any kind of scarf you want, with explicit instructions only for Harry Potter and Doctor Who styles. Anything goes! The test knitters chose things like local rugby team colors instead of fiction-inspired looks, which was very cool to see. The world is your woolen oyster! Scarfigan is so much fun that it has turned into one of the few items I have kept for myself. As you can see, my husband and I had a delightful time sipping Dragonscale beer in Hogsmeade at Universal Studios Hollywood while wearing the sweater and had many positive interactions with other fans regarding the construction and look of it. Coincidentally, it was ComicCon weekend in our hometown of San Diego, so we joked that we just switched cities with 10,000 LA-based entertainers for the weekend. It would have been a hit for ComicCon, though! How do you choose your projects when knitting a gift? Do you have a few go-to classic patterns or do you like to hyper-customize every gift as you make it?